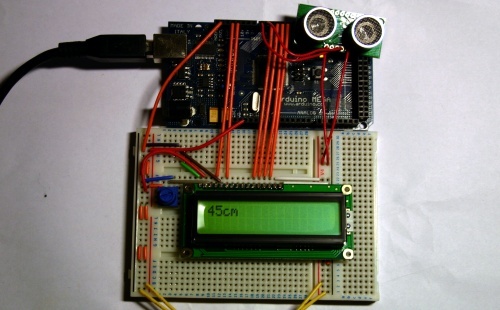 This is a another sample demonstrating Arduino MEGA, LCD screen and SRF05 ultrasonic range finder. The distance measurement from SRF05 is displayed on the LCD screen in centimetres. Arduino: Basic Theremin meets Processing! Hi, my name is Arvydas and I build awesome stuff. Checkout BlinkStick - smart LED controllers with integrated USB firmware I have created!